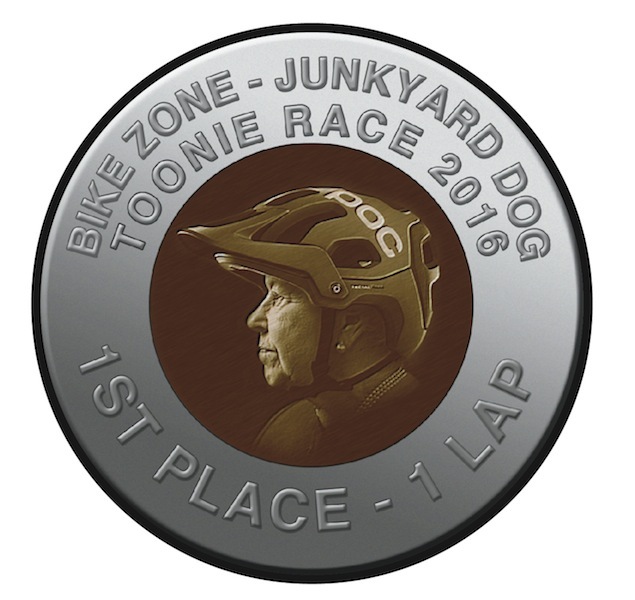 The Bike Zone Toonie JunkYard Dog XC Race is this Sunday June 12. For a Toonie you race your sweet ride around the JYD, can win medals, and if the planets align your way, some cool swag. 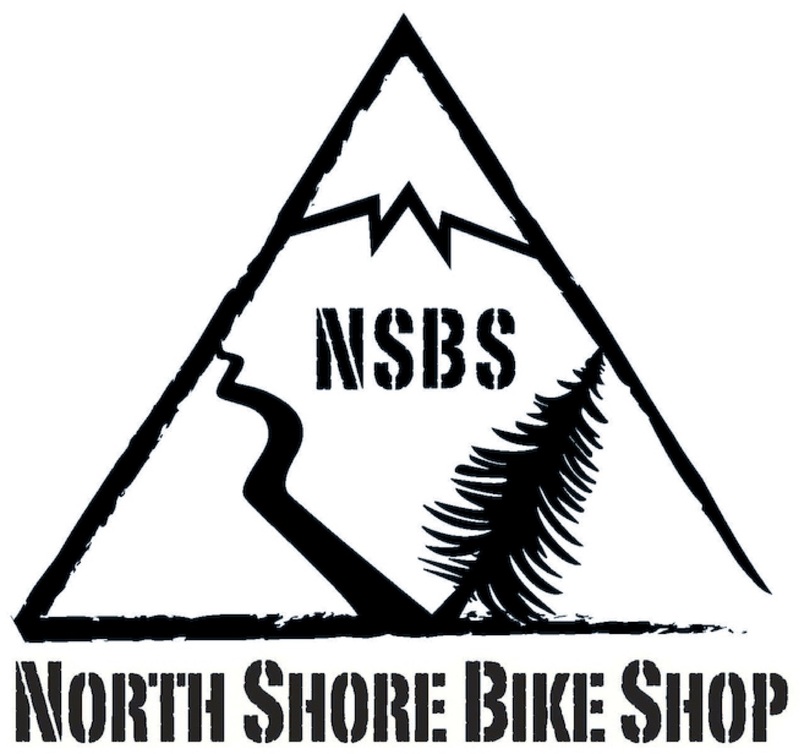 Check out the Bike Zone tent with onsite mechanic and some of Norco's latest offerings to swoon over! Let's not forget the great food and beverages for only a Toonie! Please register HERE. See you Sunday. 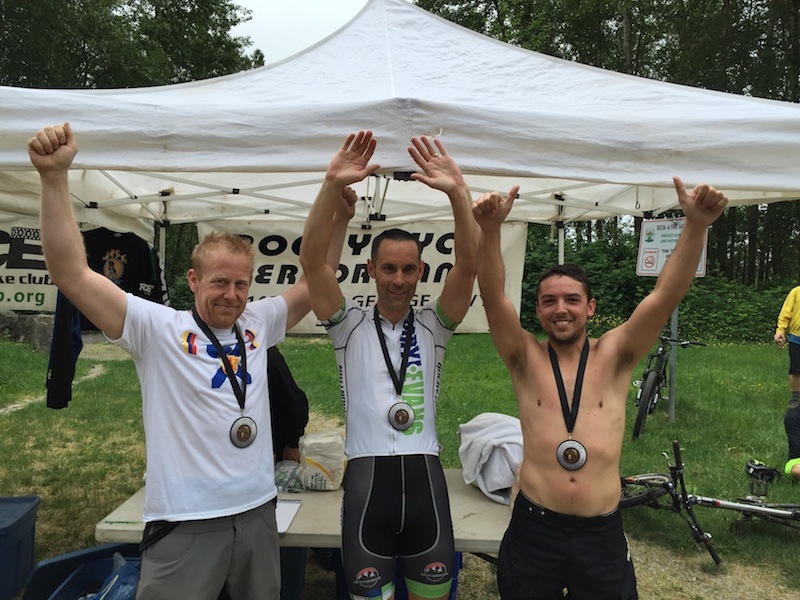 Another excellent Toonie Race at the Watershed, sponsored by Rocky Cycle. THANKYOU! 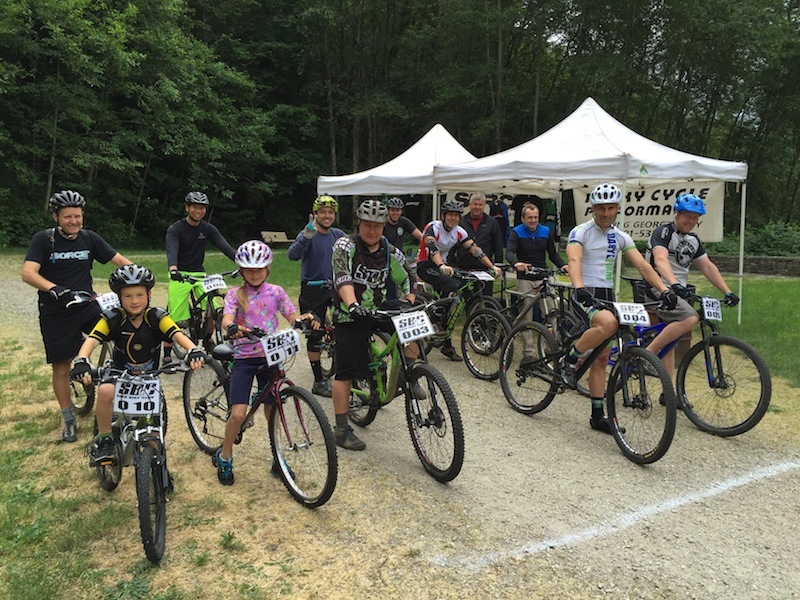 A new course designed by Brett and the Shed crew was perfect for all levels of racers. 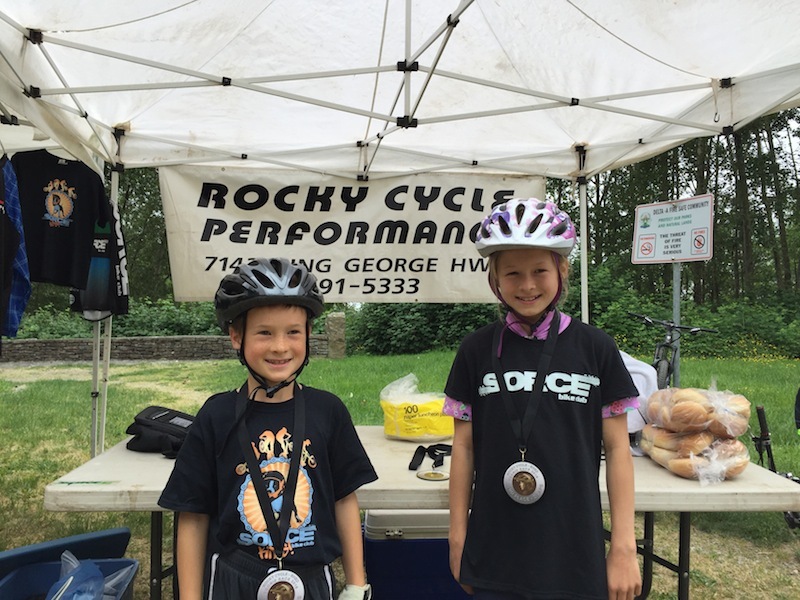 Great swag from Rocky Cycle, Investors Group White Rock and Red Racer capped off the food and medal presentations. Owen, with sister Javonna only a few seconds behind, took the 1 lap podium. Results HERE. Photos START, 2 lap, 3 lap. JunkYard Dog - Fantastic Day! 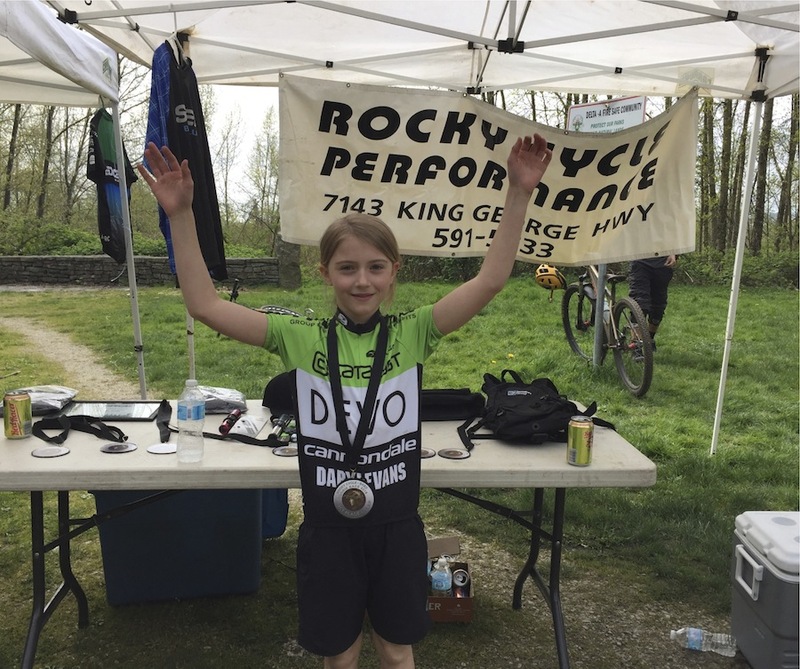 The Daryl Evans Racing JunkYard Dog BC Cup XC race on April 24 was a resounding success! The 86 racers competed in 2 races, with Juniors and Citizen starting at 9, and 19+ up to Elites starting at 11:30. This year we had The PhysioMoves Juniors Prime! U13, U15 & U17 racers, boys and girls, raced from the start to just before the race village to win the $20 prizes, before they carried on for their first lap. Competition was fierce with a special note to the very strong girls, with Emilly Johnston in U15 category, who was third among the very large contingent of boys! We also had a prime cash award for the heaviest bike and slowest race lap. Big kudo's to Tonini Demitri who in his first race, won both cash prizes on his 40.8 lb DH bike and full face helmet and finished all three of his 7+km laps! Junior Prime Race Start winners were; U13 - Cam McCallum and Elly Hoskin, U15 - Cody Scott and Emilly Johnston, U17 - Holden Jones and Mila Wittenberg. The swag given out as door prizes was the largest amount ever! 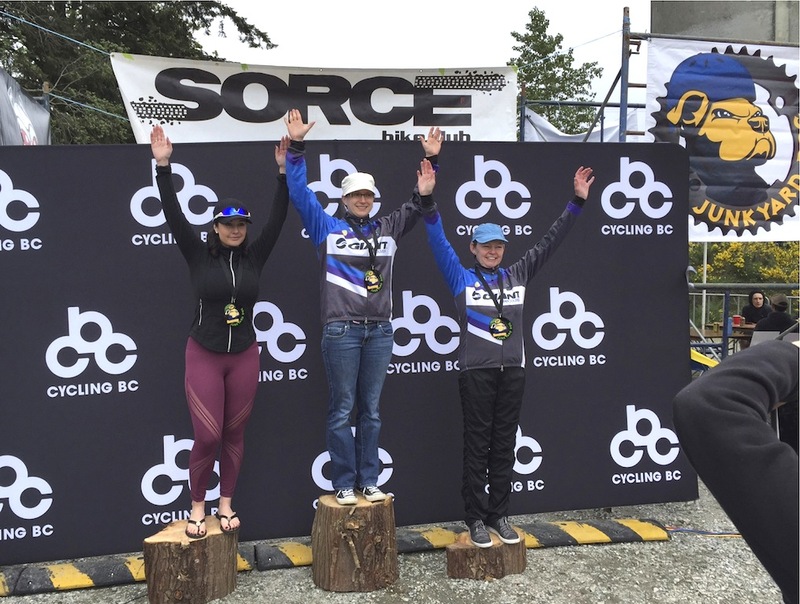 We had 36 individual prizes ranging from 2 Sawbucks gift certificates, an Investors Group White Rock full hydration pack, with Cannondale jerseys and a variety of quality gear from South Surrey Cycles. 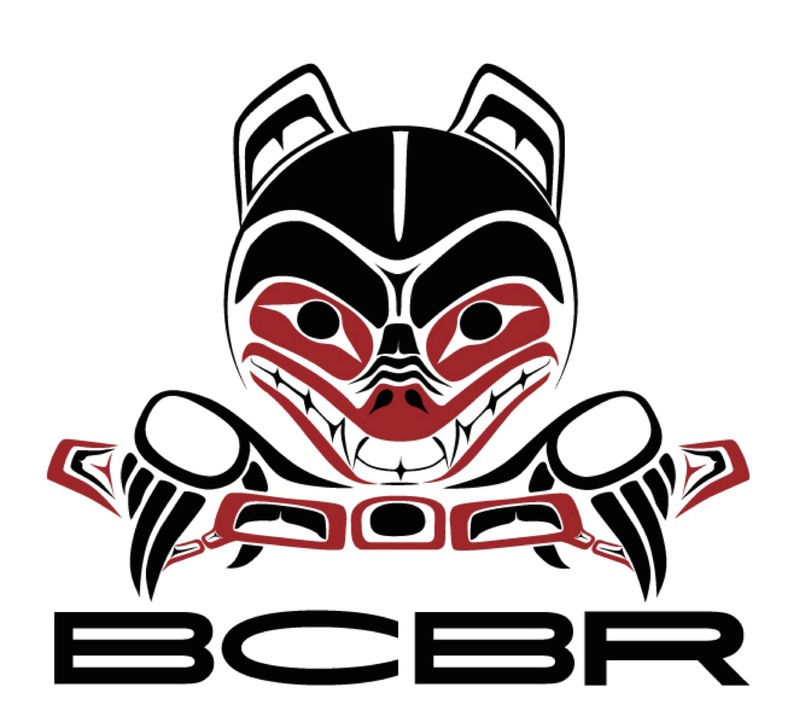 We gave out an amazing assortment of products like Sugoi BCBR embroidered jerseys & jackets and Lululemon BCBR emboidered sports clothing from the generosity of BC Bike Race! BIG thank you to all our sponsors and supporters: Darl Evans Racing, Central City Brewery, South Surrey Cycles, BC Bike Race, PhysioMoves Physiotherapy, Papa Murphy's Pizza, Nitrolube, Little Big Shot, Sawbucks, Investors Group White Rock, Clif Bar, Double R Rentals and Scott Robarts Photography. Citizen Women was won by: Lisa Jeans 1st (centre), Shannon Ford-Smith 2nd (left), & Sue Weston 3rd. JunkYard Dog - Registration OPEN! 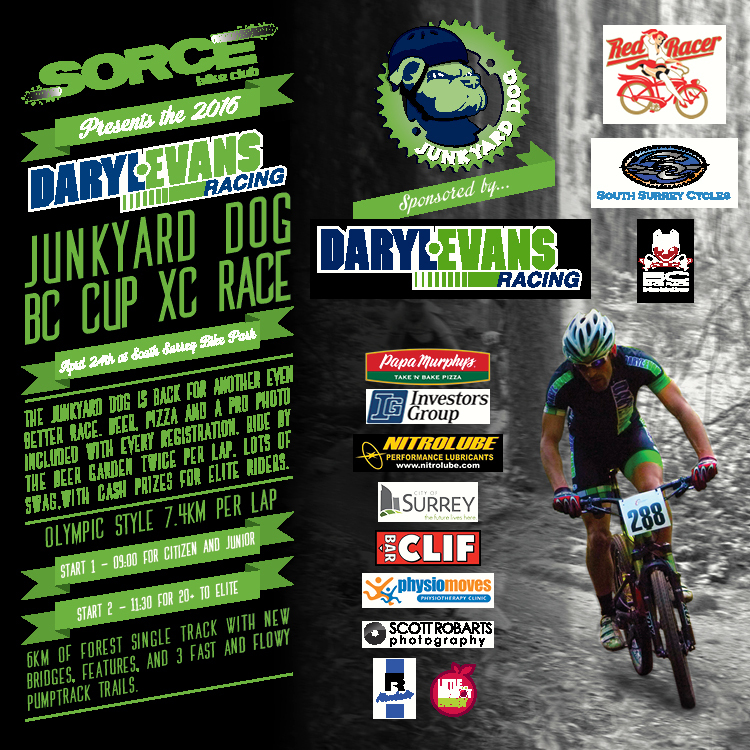 Daryl Evans Racing JunkYard Dog BC Cup XC Race #2 of the 2016 season, is OPEN for registration. 29 racers shredded the Shed today in the season opening Toonie race series. 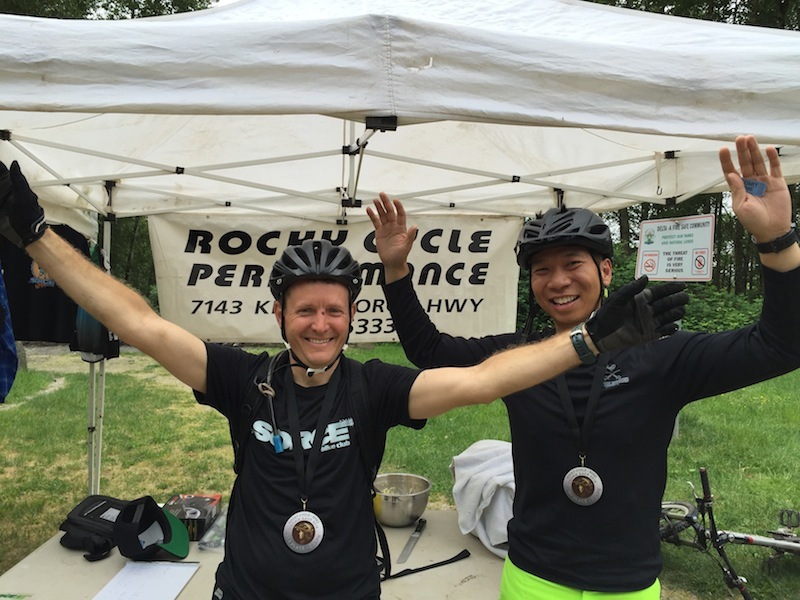 Special thanks to our title sponsor Rocky Cycle for some excellent swag! Brett and crew set up a very challenging course and whipped up his famous pulled pork & slaw in a bun! Thank you to Investors Group White Rock for some cool swag and Red Racer for their treats! Geza took the 1 lap crown today! Full race results HERE. Photos HERE. 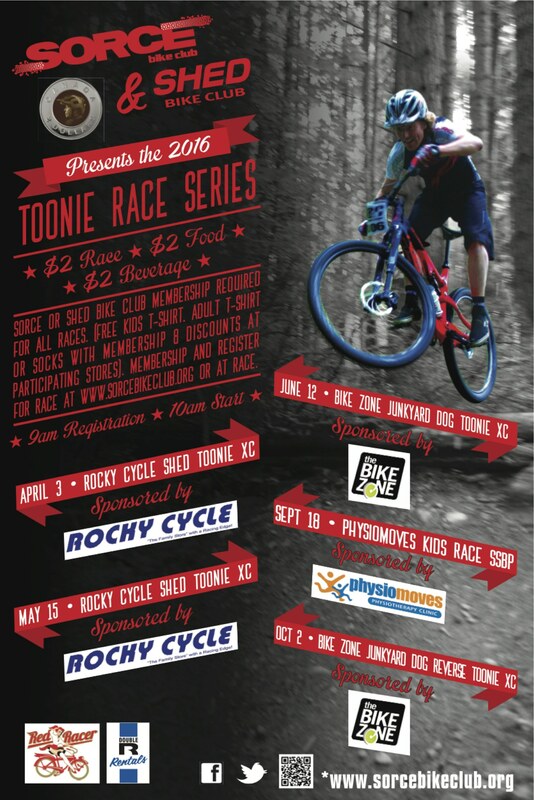 Register HERE for the 2016 Toonie XC Race Series.